Sandhar Amkin Industries has launched their flagship product in motorcycling accessories. 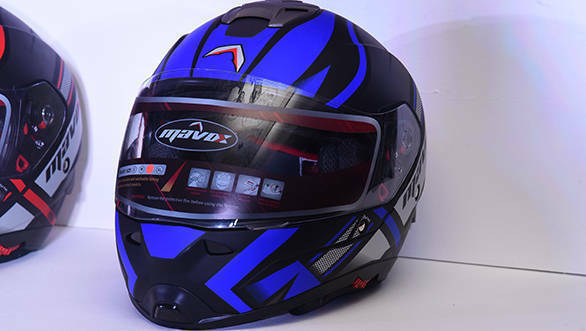 This time around, the company has launched the three ISI certified helmets under Mavox range - OX10, OX11, and FX Max. The prices for the helmets start from Rs 1,485 and go up to Rs 3,000. All the three helmets will be sold in four different sizes - 560mm, 570mm, 580mm and 600mm. Customers can choose the size that perfectly fits to the circumference of their head. The helmets feature UV resistant paint and a watertight visor. 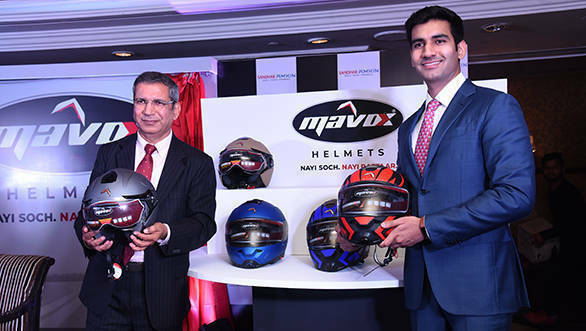 The company has set up its plant in Manesar which can produce 20 lakh helmets yearly. Sandhar Amkin Industries is a joint venture between Sandhar Technologies and Amkin Group. The former is a well-known global manufacturer of automotive components such as automotive security system, sheet metal components, die castings, electric fuel pumps. Commenting on the announcement, Ayyushman Mehta, managing director, Sandhar Amkin Industries Pvt. Ltd. said, "While efforts are being made for the enforcement of certified two-wheeler helmets in India, we still have a ways to go. Not surprisingly, most two-wheeler accidents in India result in head injuries. In such a situation, helmets that are not just accessible but highly protective and aesthetically designed at the same time are the need of the hour, and with Mavox we strive to deliver on that demand."